This morning the weather was fabulous! Wonderful warm sunshine filled my quilt studio. 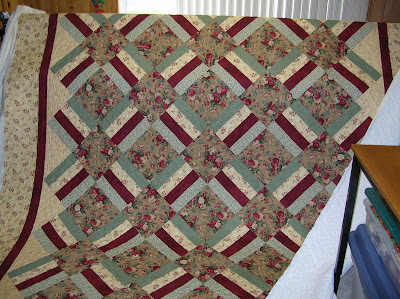 I have been pushing myself this weekend to get 4 customer quilts quilted. This morning’s sunshine gave me the energy to complete all 4 quilts! Even Joey enjoyed the warmth of the sun. 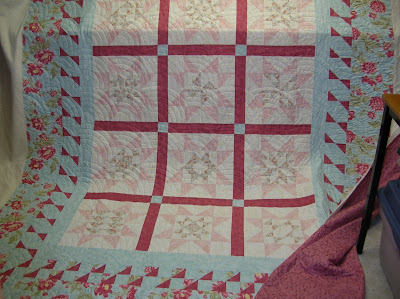 All 4 quilts were scrap quilts…. …utilizing everything in the scrap basket. I also finished a secret project this weekend…..the next FAB challenge. I can’t show pictures, because the recipient definitely reads this blog….so stay tuned for the reveal!